The RAVPower Luster Mini External Battery Pack! How's ready for a giveaway! It's been awhile since I gave something away. Sorry friends. It's just that I've been pretty busy but that's no excuse for me not taking care of my followers! I have more than a few tech items lined up to giveaway and this is the first one up for grabs! 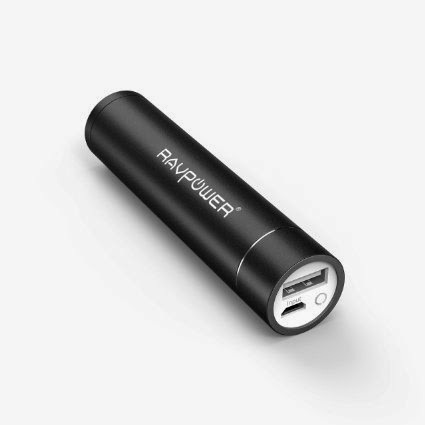 The RAVPower Luster Mini External Battery Pack! Don't be caught with a dead mobile device again! This lipstick sized external battery pack is perfect for on the go power. You can charge practically any device that can be charged with a USB cable. It comfortably fits in your pocket and can perfectly be stashed in a purse. And you can win one here at Metallman's Reverie! The giveaway rules are pretty simple. Giveaway will run from now until October 3rd. The winner will be announced shortly after. Winner will have 48 hours to respond to the winner's Email. If a response is not received, the winner will forfeit the prize and a new winner will be chosen. To enter, use the Gleam giveaway widget below. Are entries will be verified. Winner must have a residential address. Sorry, no PO Boxes. Open to US residents only. I would love to win the RAVPower Mini External Battery pack so I can take it wherever I go and charge my phone up & other devices like my Samsung Galaxy 3 Tab.THX so much for the opportunity to win!!! Just the perfect size for on the go power! Great for charging my smartphones, mp3 players, and electronic devices. Thanks! I would love to win this ravpower mini for my mom because her smartphone is never fully charged. Compact, yet powerful. Good luck! It's great to have back up power just in case! I always make sure my wife has one in her purse! Good luck! It's great for charging just about anything. Good luck, Alan! Wishing you much luck, Wanda! I would love this for husband so he wont have to worry about his phone going dead at work. To charge my phone on the go! I would love to have this for my train ride to work! Even if I am fully charged, I usually run out of power by the time I get home, so using this would be perfect for the last bit of my ride! They are pretty awesome, Karen! Sorry, but shipping this bad boy over seas would cost just as much as the item itself. Maybe next time I'll make it worthwhile for my friends in the UK! Thanks for the comment! That's great news, I had the same for the Guardians one I'm running, overseas shipping is a nightmare! This would be great for my daughter. Her phone is always dying before the end of the day and this way she could give it a good boost when she needed to. My son has been back in forth to the hospital lately. I could keep this in my purse and use this to keep my phone charged up. I'd love to have this so I don't have to worry about my phone dying and not having it work during an emergency. Would give me a lot of peace of mind! I would love to be able to charge my phone while i'm away from home. We've been caught many times with dying phones. With teenagers, I want to always be able to contact them. 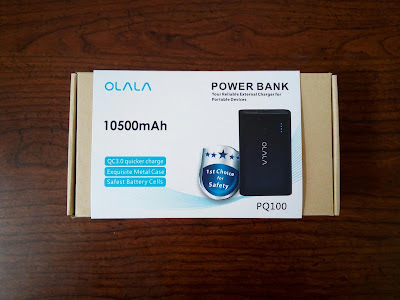 I would love to win because this device would come in handy to charge our phones and tablets while on vacation if we forget a charger or do not have access to an outlet. Thanks for the giveaway…would be great to have on my monthly business trips to keep my phone charged & ready to go !